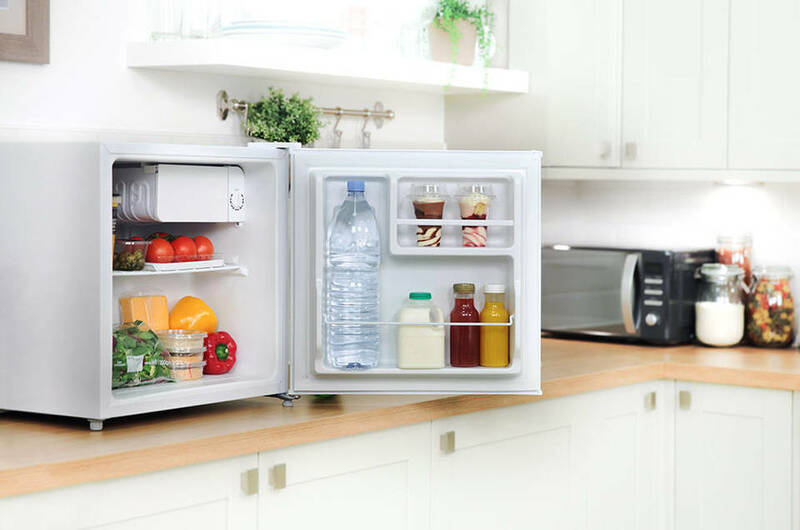 Do you want a good refrigerator within your budget? You can get a guidance of top 10 single door refrigerators under Rs15, 000. If there are three to four members in your family, a small fridge with 185 to 200 liters capacity is enough. Many brands are manufacturing single door refrigerators at reasonable prices such as LG, Samsung, Godrej, and Whirlpool. Stabilizers are there to control voltage up downs. Below is a list provided of the best refrigerators within this price range. Also the advantages and disadvantages of the products are given in the article for your assistance. Samsung 192 liter single door fridge is the best seller this year for its innovative look and design. It has inbuilt stabilizer with printed design that makes your kitchen look awesome. Ten years warranty on the compressor and one year comprehensive warranty are provided with the device. The royal tendril red colour is its primary USP. Its price is around Rs12, 490. Whirlpool 190 liter single door fridge is another one greatly popular for the last 20 years. It has 3 star ratings. The company gives five years warranty in compressor and one year warranty on the unit. It is also energy saving. Only 300 units are consumed in one year. The Whirlpool 205 CLS 3S 190 Litres Single Door Refrigerator price is Rs11, 490, although it varies from time to time. LG 190 liter single door fridge is Hazel Aster in colour with beautiful floral print. The cooling performance is very good and it also has inbuilt stabilizer. It is three star rated. Ten years warranty is given on compressor and one year on the product. The price is Rs14, 900 approximately. Godrej 185 liters single door fridge has an exclusive feature. It can play music from your pen drive or fm radio. The colour is berry bloom. The product has five years warranty on compressor and one year comprehensive warranty. The price is around Rs13, 600. Haier 190 liters direct cool single door refrigerator is also a power saving one consuming 200 units per year. No need to buy a stabilizer as it already has one inbuilt. It comes with 3 star ratings and its colour is burgundy red. The price range is approximately 10,999. The prices always keep changing. Whirlpool 200 liters single door has a beautiful look with metallic body. It gives great cooling and no voltage fluctuations will be there due to the inbuilt stabilizer. Rs13, 790 is its approx price. LG 215 liter direct cool fridge comes in scarlet aster colour with 3 star ratings. The customers get 10 years warranty in the compressor and one year warranty on the product. It comes with stabilizer too. Its price range is around Rs15, 499. Whirlpool 190liters single door was launched this year only. You will get this within Rs 10,000. They are available in five different colours blue, grey, red, brown, and maroon. It has 3 star ratings. There is five years warranty on the compressor and one year on the product. Samsung 212 liters direct cool refrigerator is suitable for a small family of 3 to 4 members. The design is elaborate and exclusive. It is 3 star rated. The compressor consumes less energy and is secured for 10 years. The price range starts from Rs16, 299. Godrej 196 liters direct cool refrigerator has inbuilt stabilizer. It is energy saving. The fridge also comes with deodorant to give out a sweet odor while opening the door. It comes with the rating 4.3 to 5. It is widely sold due to the good quality and less noise. The price range is Rs12, 299. These are the top 10 single door refrigerators that you can buy for getting the best services ever.